The Hamilton phenomenon has rewritten the Formula 1 record books. But Lewis’s meteoric progress doesn’t diminish the achievements, 37 years ago, of a Brazilian tyro called Emerson Fittipaldi. Emerson was already 22 when he arrived in a cold, unwelcoming England in February 1969. Two months later he had his first Formula Ford race, and 15 months after that he was in F1 with Lotus. Hamilton won his sixth Grand Prix, but Fittipaldi won his fourth – restoring morale to a team reeling from the tragic death of its No1 driver. In his second full F1 season he became the then youngest-ever World Champion. A year later he switched to McLaren, and became World Champion again, scoring McLaren’s first drivers’ and constructors’ titles. Then, at 29, he turned his back on the easier challenge of driving for a top team to run his own Brazilian F1 operation. It was a failure, and he retired disillusioned and demoralised, saying he never wanted to race again. But at the ripe old age of 37 he was persuaded to get back in the cockpit and try CART in the USA. His glittering second career lasted 12 seasons. He won the Indy 500 twice, and was crowned CART Champion in 1989. Emerson is 61 now, a grandfather who has just become a father again, and is working harder than ever. Finding a lunch date in either of his home towns of São Paulo or Miami proves difficult, but eventually we manage to coincide in a hotel restaurant near Amsterdam. Slim, spare and bright-eyed, he is bouncing with energy and good humour despite two consecutive nights of long-distance flights. He’s flown to Holland to cheer on the Brazilian team in the opening round of the A1 GP series at Zandvoort, but he left São Paulo two days earlier for Detroit, where he had a high-level meeting with General Motors. GM is striving to develop greener cars, and one of the Fittipaldi businesses is producing ethanol from sugar cane. In Brazil, four million of the nation’s cars run on ethanol, and Emerson sees a great future for it on a worldwide basis. He’s a New Age man in other ways, too. He lives on a strict macrobiotic diet, and before his abstemious meal of swordfish and salad he orders a cup of very hot water, gets a small tin out of his pocket, spoons an enigmatic brown substance into the cup, and drinks it. It’s concentrated Japanese miso, made from fermented soya bean, and Emerson likes to have several cups a day. Wherever he is in the world he has a daily session in a gym, and he seems indecently young and healthy for a man in his seventh decade – let alone a man whose spine is held together with titanium rods and screws. Emerson’s grandfather emigrated to Brazil from southern Italy, and his Russian mother fled to Brazil in the 1930s. His father, Wilson, raced motorbikes and was a journalist and commentator – Brazil’s Murray Walker. When Chico Landi, the only Brazilian F1 driver of any standing before Emerson, won the Bari GP in a 2-litre Ferrari in 1948, Wilson was there to describe the race to his radio audience at home. He was still commentating on Formula 1 when both his sons, Wilson Jr and Emerson, were racing in the 1970s. The brothers grew up surrounded by motor sport, and Emerson, younger than Wilson by three years, was racing motorbikes in his teens. You had to be 17 to race karts then, but Emerson helped build and prepare his brother’s kart, and that of a friend called Carlos Pace. As soon as he was 17 Emerson started winning kart races, and sales of the machines he built, called Minikarts, helped finance his racing. Then he moved into Formula Vee with a self-built car, winning the Brazilian FV championship and selling 28 customer replicas. There was a Porsche-engined Karmann-Ghia VW coupé and, later, a remarkable twin-engined VW Beetle, whose glassfibre silhouette hid two 1600cc flat-four engines in tandem behind the driver. With 350 horsepower in a car weighing 550kg it was devastatingly quick, and in Emerson’s hands this unlikely beast outpaced the wealthy local racers in their GT40s and Lola T70s at Jacarepagua. The right people wanted to meet the Brazilian newcomer because, like Ayrton Senna da Silva a dozen years later, he was winning everything. His first race was actually at Zandvoort: he put the Merlyn on pole and led until his engine blew. Rowland gave him the parts to rebuild it. They took the finished car to bleak, windy Snetterton for a test, and the gearbox broke. “I cried that day. 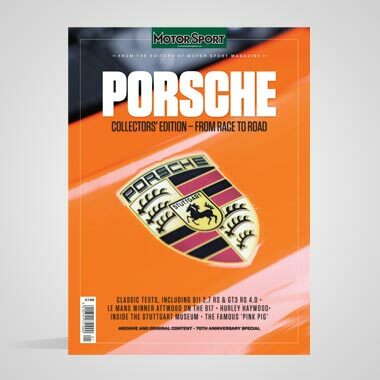 I thought I would go back to the sunshine in Brazil and forget about Europe.” Rowland persuaded him to persevere, and he returned to Snetterton for his second race – and won. More FF wins followed, but in July Jim Russell, who’d been watching his progress, did a deal with Mike Warner of Lotus Components, and the Merlyn was exchanged for a Lotus 59 F3 car. Emerson was fifth in his first F3 race, second in his second, and won his third. He won seven more in the next three months and, on the strength of half a season, took the British F3 Championship. The first F1 offer had already emerged. “By September I was living in Norwich. Frank Williams, who was having flying lessons, flew up with his instructor to see me. He said, ‘Next year I will have two De Tomasos in Formula 1, and you can be No2 to Piers Courage.’ I said, ‘Thank you, Frank. 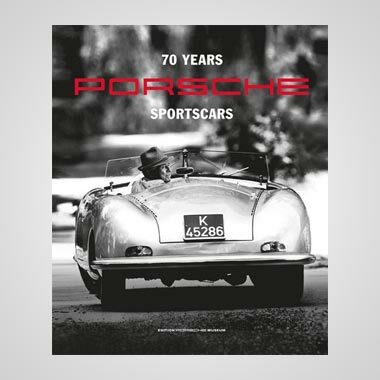 It is an honour, this invitation, but I am not ready.’ Then later in the year Colin Chapman called me into his office. My legs were shaking, I was thinking of Jim Clark and Graham Hill, all that history. It was a very emotional day for me. He said, ‘I want you to drive for me next year in Formula 1.’ I told Colin I needed more experience. I wanted to start in F2 and see how things went. At Zandvoort a few days later Piers Courage was killed. Again Frank Williams offered Emerson the De Tomaso drive, but then Chapman responded with a proper contract. The record books show Emerson’s Brands Hatch F1 debut resulted in a steady drive to eighth, but in fact he lost fourth gear and had a broken exhaust. Before that, his fastest lap was only 0.9sec off winner Rindt’s best in the 72: Chapman must have been well pleased with his young No3. Two weeks later came his first points, a fine fourth at Hockenheim. Then in Austria he drove the 49 for the last time, slowed by mixture problems. Jochen Rindt, the World Champion elect, was killed when his Lotus 72 veered left under braking for the Parabolica, almost certainly because one of the shafts to its inboard front brakes sheared. The car nosed underneath the poorly located barrier and hit one of the retaining posts, and was dreadfully damaged. It was a crushing blow for the Lotus team, which withdrew at once from the weekend. No2 driver John Miles believed running the 72s without wings at Monza to maximise their straight-line speed made them unstable, and he had a ferocious argument with Colin Chapman in the pits just before the Rindt accident. He left the team immediately. “Then a week later he called me, and he said, ‘I want you to be No1 driver for Lotus. We’re going to Watkins Glen.’ I was amazed. I thought he would be getting someone more experienced. I had only done four Grands Prix, and had one crash! Coming out of the tragedy, the ambience in the whole team was very difficult. Jacky Ickx still had a chance of winning the title for Ferrari if he won the last two races, and Colin said I must beat him because it had to be Jochen’s championship. There was big pressure on me. Emerson made history that day: he won the United States GP, ensured that Jochen Rindt was posthumous World Champion and clinched the constructors’ championship for Lotus. He is the first to admit it was a lucky victory: late leader Pedro Rodriguez ran low on fuel in the closing stages. But that victory, and new recruit Reine Wisell’s third place in the other 72, did much to restore Lotus morale. “I couldn’t believe it when the pit signals said P1. When I came to the finish flag I saw Colin run into the road and throw his hat in the air. When I was a kid in Brazil I used to see pictures in magazines of Colin doing that for Jim Clark. Now he was doing it for me. In June he and his first wife Maria Helena were badly hurt in a road accident and, having missed Zandvoort, he was still heavily bandaged when he came through to third in the French GP. He repeated the result at Silverstone two weeks later, and was second in Austria. But it was not a happy season. Emerson’s team-mates – Reine Wisell, Dave Walker – were clearly No2s, but the arrival in 1973 of Ronnie Peterson meant that Lotus had two winners on the team. Between them they won nine races and Lotus romped home constructors’ champions. But the drivers’ title went to Jackie Stewart, with Emerson second and Ronnie third. Journalists looked for friction between them, but found none. “So next day, Monday, I began to talk to other teams for 1974. I had been four seasons with Lotus. I went to see Brabham, where Bernie was now, and Tyrrell, because Jackie was retiring. And McLaren. Marlboro was finishing with BRM and they came to me and said they would go with me to whichever team I chose. It was a big responsibility. I knew Brabham could be very good because, technically, Gordon Murray was on the edge. Tyrrell had won so much with Jackie. McLaren had never won a championship, but I liked the feel of the team with Teddy Mayer. So I said to Marlboro, ‘I am going to McLaren,’ and they said, ‘OK, we’ll back you up.’ And Texaco came with us too. Then Colin call me, he say, ‘Emerson, I don’t want you to go.’ I say ‘Colin, thank you, I am going to miss you, but I have to go.’ I felt sad because I was one of Colin’s greatest fans, after four years working together. 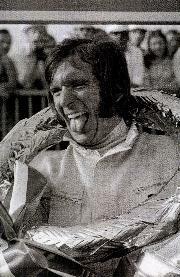 Emerson’s first race for McLaren, in Argentina, was beset by minor problems, and it was won by his veteran team-mate Denny Hulme. But the second race, in front of a delirious home crowd at Interlagos, he won. There were only two more victories that season, but a string of podiums racked up the points. He took the drivers’ title, and McLaren its first constructors’ crown. Emerson had always been concerned about the avoidable dangers of Formula 1, following the lead of Jo Bonnier and Jackie Stewart in this regard. “Jo was killed at Le Mans in 1972, and Jackie retired at the end of 1973. In 1975 I was reigning champion, so I wanted to say what was right. The whole safety structure was bad in those days. At some tracks the medical care was terrible, with no proper equipment to keep a driver alive. When I arrived for the Spanish GP in Montjuich that year, I went for a run around the circuit to have a look at it. I could see the barrier was just sitting there, with no bolts to hold it in some places. It was a disaster. I talked to [FIA President, Jean-Marie] Balestre and the circuit director, and they promised it would be finished properly, but nothing happened. In qualifying I drove slowly round in second gear. Marlboro had guests there from all over the world and I had to make a welcome speech to them on Saturday. I said to John Hogan of Marlboro, ‘I know I’m under contract, and defending World Champion, I accept the risks of motor racing, but this is beyond what I should accept. I am not driving tomorrow.’ I said it in my speech to the guests as well. “Then the organisers said they would impound the McLaren transporter if I refused to drive. So I told Teddy I would do one lap in the race and then stop. That’s what I did. Balestre had a meeting with the FIA commission right there and they took away my licence, suspended me for three races. Balestre said if the FIA passed the track as safe then the World Champion had to race. I left the circuit as soon as I’d done my one lap of the race, went straight to the airport and flew home to Switzerland. Marlboro was to stay with McLaren for 24 seasons, but after 1975, with two more victories and another second place in the drivers’ championship, Emerson astonished the world by moving to the Copersucar Fittipaldi team. Wilson and Emerson had first talked about setting up their own team in 1973 and, with sponsorship from a giant Brazilian sugar co-operative and an adventurous car designed by Richard Divila, the team came into being during 1974. But in 1975 Wilson had a miserable first season, and neither car nor team seemed capable of winning races. From being a winner and a champion, Emerson became an also-ran. There were non-qualifications and retirements, and only the occasional lucky point. In 1977 there were three fourth places, and in 1978 a rousing second place in front of those Brazilian fans, this time at Jacarepagua. But that was to be the zenith. The team struggled on through 1978 and 1979, and when Walter Wolf’s F1 team was wound up Fittipaldi took over the remains for the 1980 season. It inherited designer Harvey Postlethwaite, team manager Peter Warr and driver Keke Rosberg, and the young Adrian Reynard joined straight from university. Keke earned third in Argentina, and Emerson did the same at Long Beach. 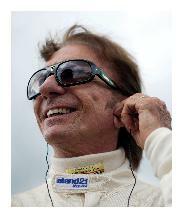 But Fittipaldi Automotive never looked like becoming a serious player. At the end of 1980 Emerson stopped driving, but continued to manage the team. “For two years I tried to get enough finance to run the team properly, but I couldn’t. For a Brazilian team to design and build a Formula 1 car was fantastic in my opinion, but the media in Brazil didn’t understand why we didn’t get race-winning results right from the start. They criticised us and bombarded us, and that drove away potential sponsors. It was very demoralising for me. Indianapolis had held a fascination for Emerson since he was a kid reading the magazines in Brazil. 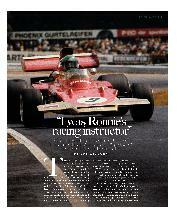 “At Lotus I used to ask Colin to tell me about going to Indy with Jim Clark. Then it nearly happened with McLaren. I tested Jimmy Rutherford’s winning 1974 McLaren-Offenhauser at Indy, and it was beautiful to drive, but those cars were fragile then. Texaco wanted me to do an Indy programme with McLaren in 1975, but the clash with the F1 calendar was difficult. I was concentrating on the World Championship, and I didn’t want to do it that way. I only wanted to go to Indy if I could do it properly, and if I felt safe in the car. Emerson drove for three different teams in his first CART season, eventually standing in for the injured Chip Ganassi with Pat Patrick. Staying with Patrick, he won the 1985 Michigan 500 by a tenth of a second from Al Unser Sr, and after three more strong seasons he won the 1989 Indianapolis 500 after an awe-inspiring last-ditch battle with Al Unser Jr, leaving the Indy lap record at 224mph. With four more victories that season, he was crowned CART Champion. For 1990 he moved to Penske, where he was reunited with his old McLaren team manager Teddy Mayer. There were more wins, including Indianapolis again in 1993. In 1996, now aged 49, he decided that this would be his last season. “The day before the Michigan 500 I called Roger Penske and I said, ‘Roger, I’ve decided to retire at the end of this season.’ He said, ‘As a team owner I’m going to miss you, but as a friend I’m very happy.’ Then in the race the next day I crashed. 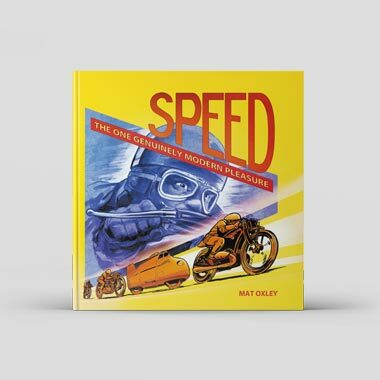 Just a year later he had another brush with death when, flying his microlight aircraft over the Brazilian wilds with his six-year-old son Luca, he crash-landed into a swamp. He suffered further spinal injuries. For several hours until rescuers arrived, little Luca, who was unhurt, had to flap his arms to ward off the circling vultures, which were attracted by Emerson’s blood-soaked clothing. 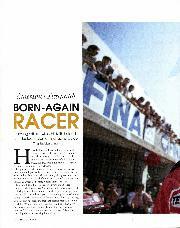 He was briefly tempted back into the cockpit for the Grand Prix Masters series last year, and had a good battle with his old CART sparring partner Nigel Mansell at Kyalami. “It’s a shame it hasn’t got the finance now. I hope it happens again.” For now he has the ethanol project, the fruit business – with 600,000 orange trees in a huge plantation 200 miles north of São Paulo – the car accessory range, the performance car exhibition. 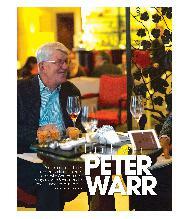 “I was so lucky in my career because I worked with all these good guys – Denis Rowland, Colin, Peter Warr, Teddy. I was always learning with these people. When I left Formula 1, I believed I had retired for ever. I never thought that one day I would drive Indianapolis. Or win Indianapolis, I never dreamed that. "A man is like a bicycle, if he stops he falls"
"I was Ronnie's racing instructor"